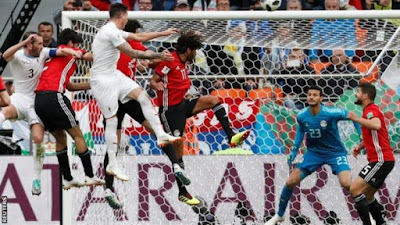 Jose Gimenez headed powerfully into the net in the 90th minute as he met Carlos Sanchez’s free-kick to give the South Americans a winning start in Russia. 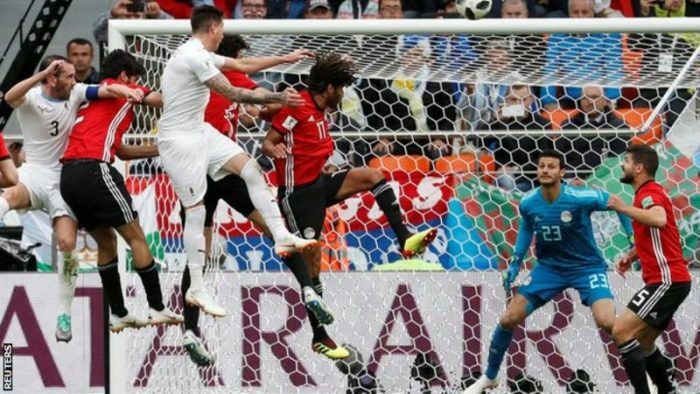 Without Salah, Egypt lacked a cutting edge and had looked on course to earn a point in their first match at a World Cup finals since 1990 before Gimenez’s late goal. The result means Russia are top of Group A after their 5-0 victory over Saudi Arabia in the tournament’s opening game on Thursday.